Current: I want to sell my XLN Audio products. Are license transfers allowed? I want to sell my XLN Audio products. Are license transfers allowed? Ok. License transfers are allowed for all products except for NFR (Not For Resale) and OEM licenses (i.e. 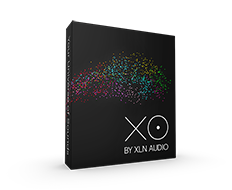 XLN Audio software bundled with software or hardware from other companies like Focusrite or Novation). Use the Online Installer to uninstall the products you want to sell. Tell the buyer to create an account with us. Give us his/her e-mail address. After that we will transfer the licenses to the new owner's account.